Block #10 of the City Girl Sew Along is called "Garden Gate". The background fabric is Halle Rose by Riley Blake Designs - isn't it fantastic? I used Riley Blenders for the wrought iron gate applique. This block comes together easily so the tutorial is very brief. Are you ready? Trace gate template (click here to download template) onto fusible web. Iron it to the back of the dark gray fabric (for more details on how to use fusible web, click here). 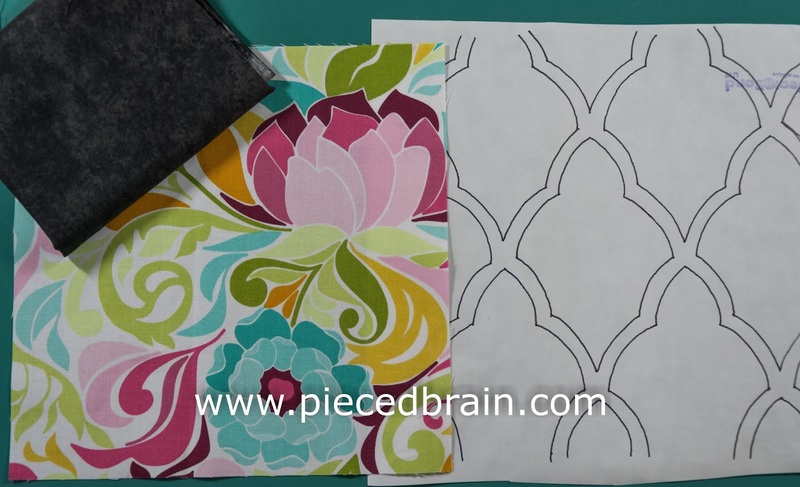 Using sharp scissors, carefully cut template (I save all the fused fabric cut outs for other projects!). 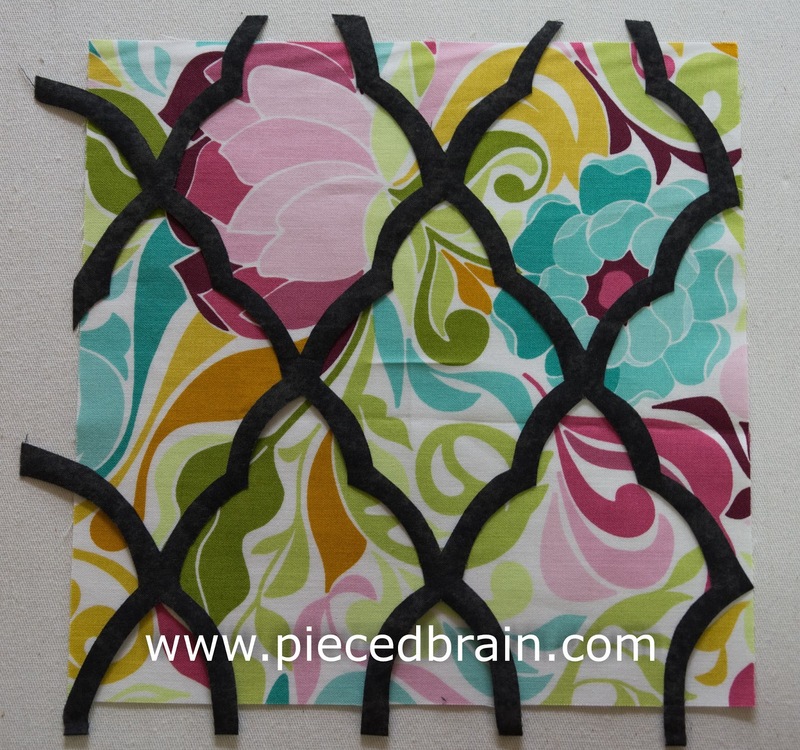 Remove paper backing from wrought iron gate, place it over background fabric as shown above, and press it according to fusible web manufacturer's instructions. Trim pieces of gate that extend beyond background. 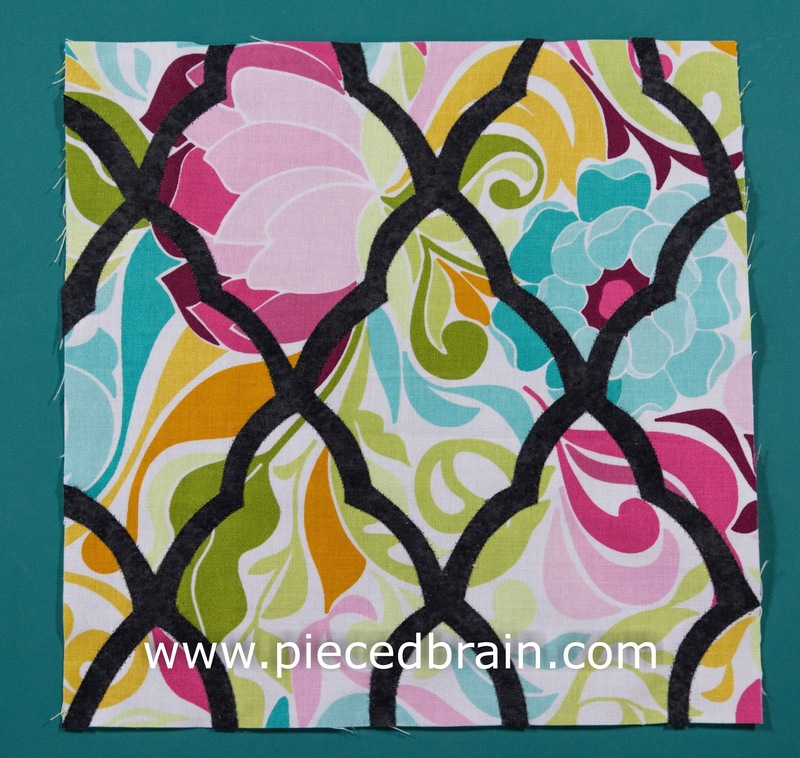 Using the dark monofilament and a small zigzag stitch, applique the gate onto background fabric. 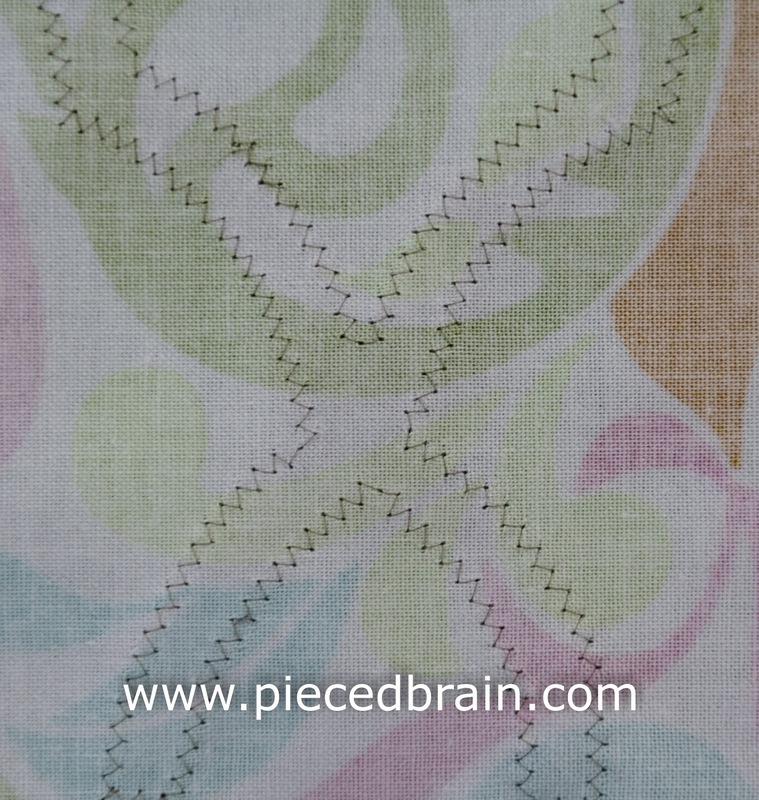 Since the applique shape had thinner lines, I opted for the small zigzag stitch instead of my go-to blanket stitch. The first wall hanging I ever made using a much larger version of this template (see snippet of that quilt on the very top left corner of this page) was done differently: I prepared the background by gluing fabrics together to form my garden, fused the gate onto background, layered the quilt sandwich, then used monofilament and straight stitch to applique and quilt the gate at the same time. Quick, huh? I think it looks great... Today the sky is gray so working with these gorgeous colors was a delight. Don't forget to send me pictures of your blocks as you finish them. See ya! Cute block! I love the gate design. I haven't started on the City Girl quilt yet, but do want to make it sometime soon. Thanks for sharing!